A typical surface relief grating is not as thick as a volume phase grating. Most are coated with a reflective surface and used as a reflection grating. 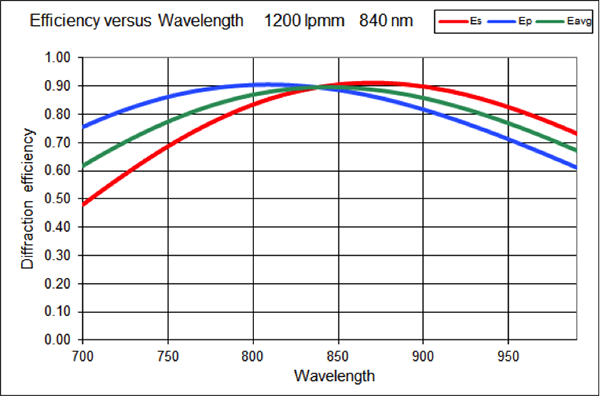 The grating structure is usually be “blazed” to work at the desired wavelength and geometry. Volume phase grating can be made thicker than a standard surface relief grating. They don’t have any open grooves. They work by a change of the index of refraction in the medium. (Index modulation) They are designed to work at different wavelengths by adjusting the thickness and the index modulation of the medium. Volume phase gratings are commonly used as a transmission grating. Higher density surface relief gratings have a problem with Polarization Dependent Loss (PDL). 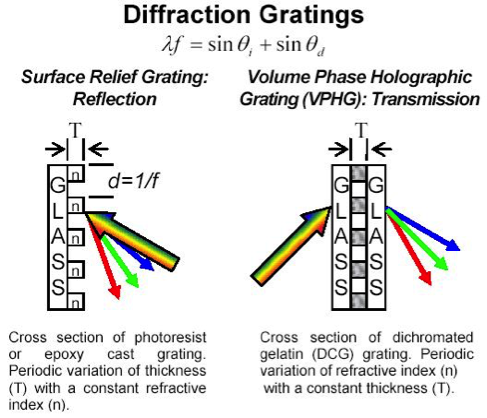 As the frequency of the grating increases, P polarized light losses diffraction efficiency (DE). Fig 3 is a high efficiency SR grating with a line spacing of 1200 l/mm. 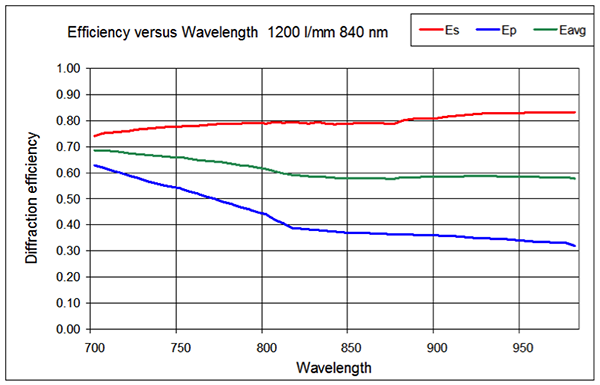 P polarized light falls off as the wavelength increases. When the index modulation is adjusted correctly, a standard volume phase grating with a line spacing of 1200 l/mm has a lower polarization dependence than a standard SR grating as seen in Fig 2. Another advantage of volume phase gratings is the ability to change the angle of incidence to favor an area of the spectrum for higher efficiency. 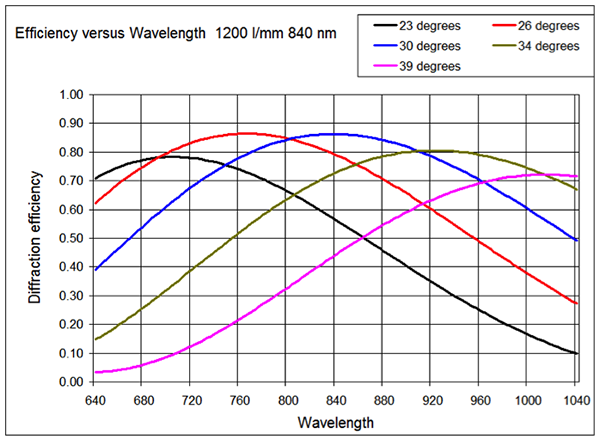 Fig 5 shows how the 1200 l/mm grating efficiency curve changes as the angle of incidence is changed through a series of angles. This scanning ability is used in Astronomy applications. Collecting the light of distant stars needs more photons and the grating can be adjusted to favor a region of the spectrum as needed.